To experience the wilderness of the Bandhavgarh Forest under a star lit sky with moon shining bright and the roars and cries of the jungle inhabitants being heard all around, is an experience one would not like to miss. A night jungle safari in India is an adventure of a kind and we at Bandhavgarh365 provide for you this night safari to be up close with nature at the hours of the dark. Twinkling of their eyes, to the sounds of their movement and the royal tigers roar would surely give you goose bumps for a lifetime. The night safari in Bandhavgarh will be in open traditional jeep with specialized guides who would take care of your security and along with that enlighten you with their knowledge of the vast jungle and its fauna. Bandhavgarh365 provides for you the best forest night safari in India, where you have the liberty to take a guided tour or can drive your jeep on your own making your experience even more thrilling and breathtaking. The night safari makes you move in terrains which are rough, rugged and smooth throughout the night and makes you witness the vast variety of mammals, reptiles, insects glow in the light of the moon and moving around in all their glory in their area. 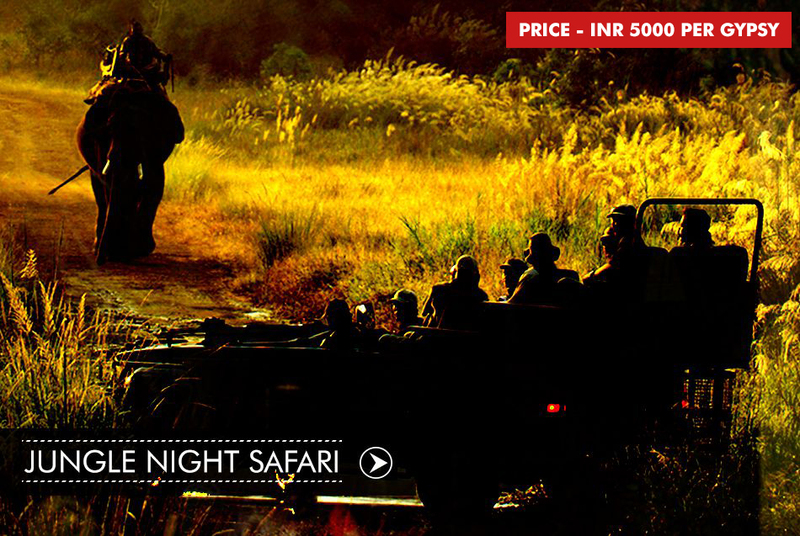 To experience the night life in the jungle you can easily book the night safari with Bandhavgarh365. Your security and comfort is our priority and we take care of all of that with quick medical aid, guides and guards and we leave no stone unturned to give you that mind blowing and hair raising experience.